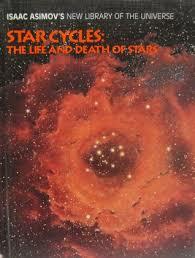 The life of a star research paper illustrates that cosmic matter is on an eternal cycle of birth, death and regeneration, as the gases from which stars are formed are ejected by those very stars when they die. The heavy carbon at their cores forms the material for new planets or stars, and even lifeforms on this or other planets. An object which dies in one incarnation will go on to become another entity; thus a star can become a planetary nebula, explode dramatically as a supernova, or fade as a white dwarf, which is the predicted fate of our own sun, some 5 billion years from now. As was known prior to Hubble Space Telescope, stars are formed when a dusty cloud of hydrogen gas collapses under the force of gravity, triggering nuclear fusion. Young stars heat the gas around them with UV radiation, and the birth cloud will glow, thus transformed into a nebula. Whilst the birth process had already been seen, it was not fully understood and HST’s observation of fledgling stars brought gratifying results. Although it could not conclusively explain the process of star birth, HST was able, charting primarily star clusters of older stars within our own galaxy to provide vivid and graphic evidence that it can be both a violent and an erratic process. Looking up at the sky on a clear night, the view is typically one lit with millions of brilliant sparkling stars. While stars have been a fascination of astronomers for centuries—as charting constellations dates back to the time of the ancient Greeks—the composition of stars—what they are made of, what powers them and their life-cycle—is a reality that has only recently been discernible for scientists. For the most part scientific understanding of stars has been vastly limited by available technology. As such, the answer to the question “what powers a star?” has only recently been made available. In order to provide some insight into this topic and further explore the life-cycle of the star, this investigation considers what powers a star and how that power source eventually diminishes. By looking at this process, it is hoped a clearer understanding of the significance of stars in the sky will be ascertain. Further it is hoped that by exploring this subject the reader will gain an intimate knowledge about the complexity of stars and how understanding their intricacy is important to the larger scope of physics. With the discovery of quantum mechanics at the beginning of the nineteenth century, astronomers and physicists were able to discern that nuclear fusion was responsible for powering a star. While this rudimentary understanding of the star was sufficient for the early 1990s, it was not until several decades later that it was discovered that there was more than one type of fusion reaction that could take place within a star. Proton-proton chain, the triple-alpha chain and the carbon-nitrogen-oxygen cycle were all identified as possible mechanisms for powering a star. Even though each system is unique, however, the reality is that each one is predicated in the basic process of nucleosynthesis. The Inflation Theory - The Inflation Theory research papers examine the theory that states that for a brief period of time following the Big Bang, the universe expanded at an exponential rate. The Moon - Research papers on the Moon look at the many theories astronomers have on the origin of the moon. Thermal Energy - Thermal Energy research papers look at the design of air conditioners and how they work. Paper Masters writes custom research papers on Life of a Star and trace the formation of stars, as seen by the Hubble Space Telescope.